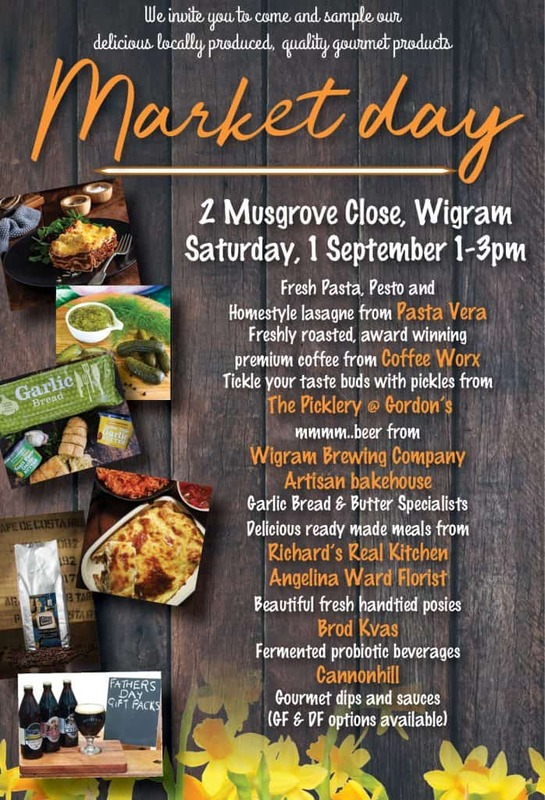 As part of of Wigram Pantry Collective we are holding a market day on Saturday the 1st of September from 1 -3pm at 2 Musgrave Close where by we invite everyone to come and sample delicious locally produced quality gourmet products. What is the Wigram Pantry Collective? We are a group of hidden foodie treasures producing quality products in the Wigram industrial precinct. We have come together for the benefit of Canterbury foodies, so you can purchase locally produced, quality gourmet products at wholesale prices. We are hoping to showcase all of these hidden treasures during a local market day on the 1st of September. We, Coffee Worx, will have a barista down there making coffee’s and selling our retail coffee. Some of the local gems include Pasta Vera serving fresh pasta, pickles from The Picklery, home brewed beer from our local brewery, Artisan Bakehouse and their famous garlic bread, Richards Real Kitchen, Angelina Ward florist, Cannonball gourmet dips and sauces and the Kvas Company with their fermented probiotic beverages. Coffee Worx is a Canterbury based company, Coffee Roastery producing premium blends of coffee for wholesale coffee supply and distribution around the South Island of New Zealand. For all of our info on supply and distribution can be found here or simply give us a ring and have a chat.